Tax payers overpay on their taxes each year. 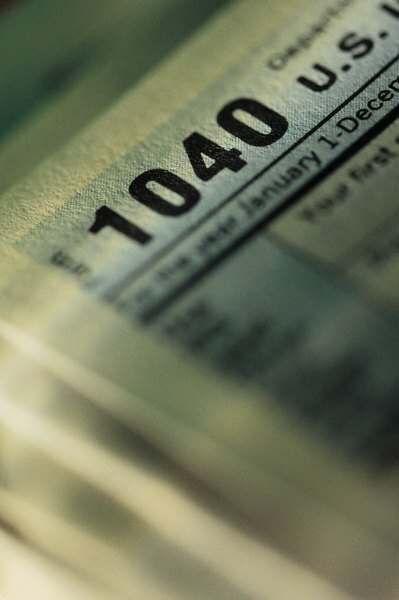 Tax preparers and taxpayers alike are guilty of missing helpful tax breaks on their returns. In fact, the 2002 GAO (Government Accountability Office) Report listed an overpayment in taxes by $473 million. Taxpayers are unaware of these breaks, and tax preparers typically play it safe. The tax breaks are there; taxpayers need to ensure that they pay their taxes, but not overpay them. According to MSN Money, charitable noncash contributions are one of the biggest missed tax breaks. When taxpayers drop off clothes, books and home goods to charity installations, they can legally deduct those amounts on their tax bills. It is best to get a receipt of the items or their estimated value from the charity installation; this is especially helpful if you ever face an audit. Forbes states that hearing aids, contacts and eyeglasses are also large tax breaks missed by taxpayers. These items are not always covered by insurances and come out of the taxpayer’s pockets; therefore, they qualify as medical deductions on the taxpayers’ returns. A lot of taxpayers refinance their homes, and the points they pay out to refinance are deducted on a monthly basis over the term of the new home loan. Taxpayers can write off those points (up to $120 for 2012) and continue to write them off each year until they have been deducted in full. Kiplinger states that job-hunting and the costs for moving to a job are tax deductible, yet most taxpayers neglect to deduct these expenses on their returns. The total expense amount cannot exceed 2 percent of the taxpayer’s adjusted gross income for job-hunting expenses. To qualify for moving expenses, a taxpayer has to relocate at least 50 miles from his old residence. Today’s educators often find themselves purchasing classroom supplies. The IRS allows them to deduct up to $250 for qualified materials. This includes computer equipment, supplies and books, according to MSN Money. Teachers from kindergarten through grade 12 qualify for this tax break. Tax credits are more beneficial than deductions because they reduce the tax bill dollar-for-dollar, rather than a percentage. A tax break most parents miss out on is the child care credit, which is worth 20 to 35 percent of what parents pay in daycare and child care expenses. This is not available for parents with employers that reimburse their child care costs. Kiplinger recommends receiving a statement from the child care provider or daycare facility with the amount paid annually to pair with your tax return in case of an audit. What Expenses Can I Deduct When Calculating My Taxable Income?